After numourous weekend jollies ere there and everywhere, we set about planning our Twixmas Break (Twixmas is the period in between Xmas and New Year, doncha know). Keith, being a “blaaaady saaaatherner” hadn’t explored much of Northern England before, so we decided to head to Derbyshire/North Yorks. different site near Goredale for NYE (we wanted a site where we could definitely have a TV signal to watch Jools Holland’s Hootenany! and this one promised on it’s website a tv aerial on each hook up) We then traveled onto a farm site somewhere near Malham (I love that place) and visited Malham and Asgarth, before finishing up near Wensleydale. We had a lovely break, but would be lying if we said we didn’t encounter any problems at all…..
Firstly- pre setting off, the problem with taking a motorhome to Northern England in the middle of winter is that its a bit of a lottery with the weather. We prefer to stay on the small sites (Caravan and Camping Club certified sites only take 5 vans, generally only offer minimal services such as a water tap and a loo dump, sometimes some toilets or a shower, but definately no club houses and all for under a tenner usually..) As such, you tend to find that the sites tend to not want to commit to booking which is fair enough, as you really run the risk of being snowed in at the time of year. Therefore, we found ourselves a little up in the air about whether we would even get up there or not, and whether we would get on a site or not. Matlock Bath- I love this place, I used to go regularly with Mum, Dad, Grandad, anyone who would take me really. I can’t tell you how often I have told Keith, we must go to Matlock Bath, you’d love it! So the compromise went like this.. Keith would buy his tools in Matlock Bath and whilst we were there we could explore. Luck didn’t want to be our side that day, clearly. We arrived in the most dense fog I’ve ever seen. You couldn’t see a bean. We went to Sainsburys to get the tools in the hope the fog would lift. When we came out we were planning on moving the van elsewhere so we could explore. Went to start the van. Nothing, nada, zilch, not a bean. We called the AA and were told they would be with us in an hour. We waited an hour. Nothing. Waited another hour. Nothing. Rang AA. Oh sorry Miss P we can’t get anyone to you within 8 HOURS! 8 HOURS!!!!! Bearing in mind we were very close to the M1 and even if they sent someone from London they could be here quicker than that. No Miss P, sorry, just the way it is. Ok. So we had a beer in Daisy (one advantage to a motorhome), Keith fixed his leak once and for all. And then an AA van turned up. He started looking at Daisy and couldn’t work it out. Next thing, another AA van turns up. The two mechanics were rather surprised to see each other there. The second guy straight away asks if we have a fuel pump switch on Daisy. We have no idea, naturally! He spends a minute inside the cab, and next thing Daisy fires up like a dream. Turns out there is this little switch by the leg of the driver. This controls the fuel going into the pump. It’d been switched off accidently as I got out of the drivers seat! The thing about motorhoming is you tend to learn something new every day! By now, it was pitch black, pea soup foggy, we were tired, hungry and fed up. Back to the campsite, a nice hot shower and a glass of vino, and the world was ok again. But Keith still hasn’t seen Matlock Bath. We must go back! 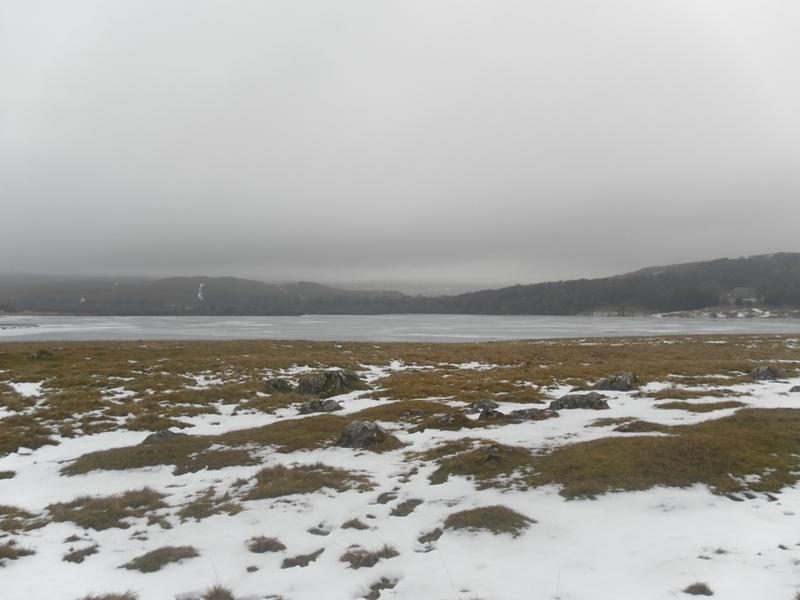 Malham Tarn, Mallam Cove. Awesome. Old Peculiar, Log fire- couldn’t have spent a few hours in the pub in Malham!